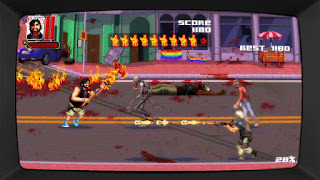 I’m not much of a fan of the Dead Island series (Dying Light is awesome, though) but when I heard it got a 16-bit beat-em-up spin off where your objective is to help a burly biker fight through hordes of undead to save his cat, I just had to play it. Dead Island: Retro Revenge puts some unique twists on the old beat-em-up formula and can actually be pretty fun once you get into it, and with just a tiny $5 asking price, there’s no reason not to give it a try. See our full review for more. Originally released as a bonus game with the Dead Island Definitive Collection, you can now buy Dead Island: Retro Revenge by itself for just $5. Retro Revenge doesn’t really have anything to do with the normal Dead Island games besides the fact you’re killing zombies, so don’t worry if you’re not already familiar with the franchise. 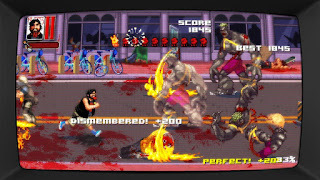 And you definitely don’t need to be a Dead Island fan to enjoy Retro Revenge. The story is pretty much exactly like I described above. Some jerks steal the main character’s cat – his only friend in the middle of a zombie apocalypse – so he sets out across California to rescue it, killing every damn dirty zombie that stands in his way. Honestly, my attention was piqued at the word “cat”, so I was all-in right from the start. 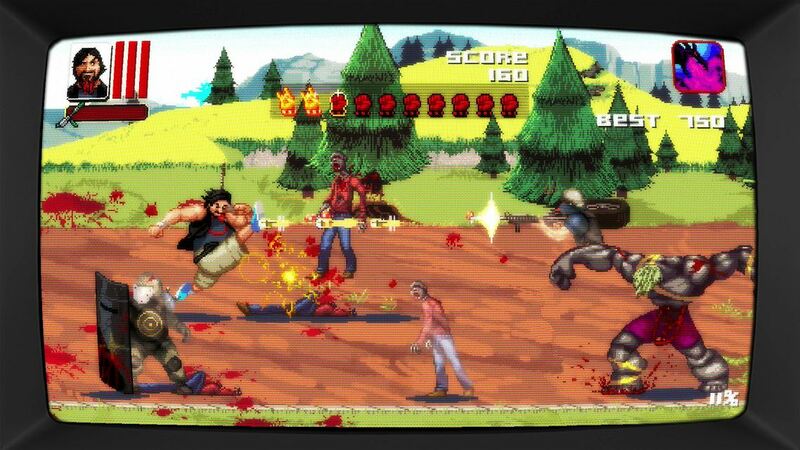 The gameplay is interesting in Dead Island: Retro Revenge because it isn’t quite the same as other side-scrolling beat-em-ups. You don’t really control your movement and instead it is like the game is on a conveyor belt where you constantly move forward into groups of enemies. The game does have three separate lanes, however, that you can jump back and forth between to attack enemies or avoid enemies and obstacles. Eventually enemies can start coming up behind you as well, so you have to keep an eye out for onscreen indicators that tell you if something is coming. It is a good system overall. Combat is also pretty interesting because the four face buttons perform different punches and kicks in front of and behind you, so pressing the right button at the right time depending on direction is important. Also cool is that, similar to a rhythm game, there is a sweet spot for attacks indicated by a little circle in front of your character. By pressing the attack button when the enemy lines up with that sweet spot, you do more damage and earn more points. You also have power weapons that kill enemies instantly as well as screen-clearing magical attacks. I also really like how you can knock stage items like barrels or even certain enemy types back into other oncoming enemies to take them out from a distance. Different enemy types have to be handled slightly differently – or avoided – which gives the game a surprising strategic element. Dead Island: Retro Revenge can be pretty difficult, though, as you can only take three hits per life unless you pick up a mid-level health pack. This means you have to be very careful as you navigate each level. The levels are each only a couple of minutes long, though, so dying and restarting at the beginning of a level isn’t the end of the world, and can even be beneficial as it helps you learn the enemy layouts. This extreme difficulty can make a somewhat poor first impression, but once you get into the rhythm of the gameplay it all becomes a lot of fun. Fairly early on simply surviving isn’t a problem anymore, and instead you start chasing high scores and figuring out the best path through a level and how to chain attacks together for maximum points. The enemy encounter design starts getting more varied and complex as the game goes on as well, which keeps you hooked. That isn’t to say Dead Island: Retro Revenge is especially deep, however, as it is really just a button masher at heart that can get pretty repetitive fairly quickly. You do unlock different special weapons and magic attacks as you play, but they don’t make any meaningful changes to the gameplay. You just mash mash mash attacks until you get to a tough part and need a special attack. Over and over again. In every level. Of course, this isn’t any different from most other beat-em-ups – there’s a reason why the genre has mostly died off. The game only takes a couple of hours to beat, though, and at the $5 price tag you can’t really complain too much. 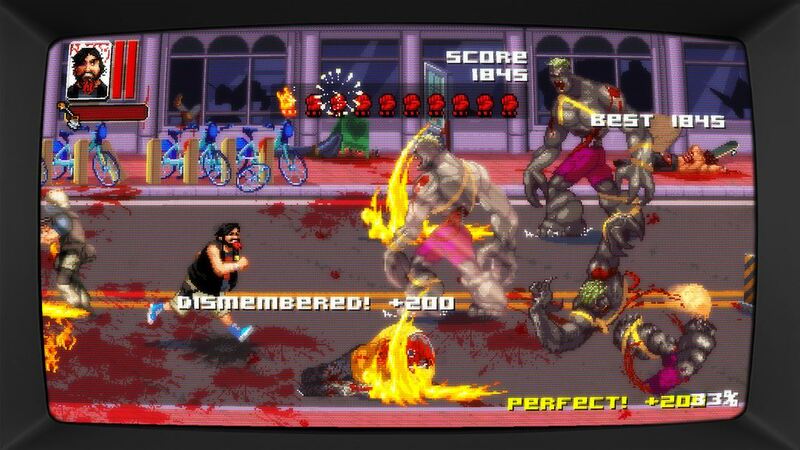 The presentation is fairly good in Dead Island: Retro Revenge. The 16-bit-style graphics look quite good overall and the animation for all of your attacks is actually pretty well done. I also really like the brief animated cutscenes that pop up now and then. The sound, on the other hand, doesn’t really stand out much. 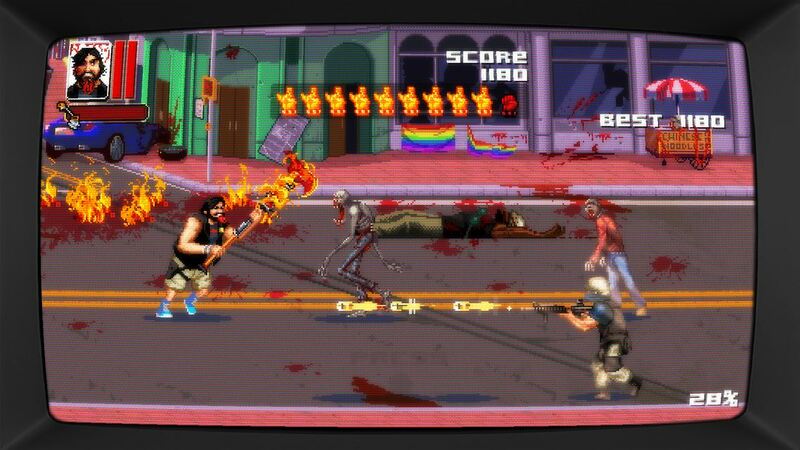 In the end, though, Dead Island: Retro Revenge is a pretty solid game considering the dirt cheap price point. It plays well, has a funny story and overall concept, and doesn’t overstay its welcome. For $5 you can’t ask for much more. Buy it.